Penguin Books Australia tweeted a picture of the actual Spirit Bound book a couple of days ago, hot off the presses. 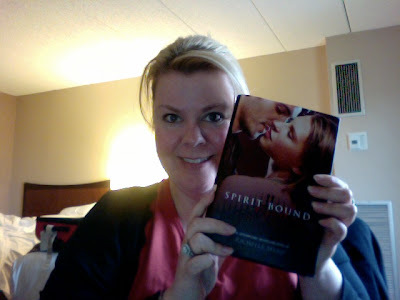 Now Michelle Rowen has tweeted a picture of her early copy that she got through her agent from Richelle. Are you jealous? I know I am. I can't wait to read it!